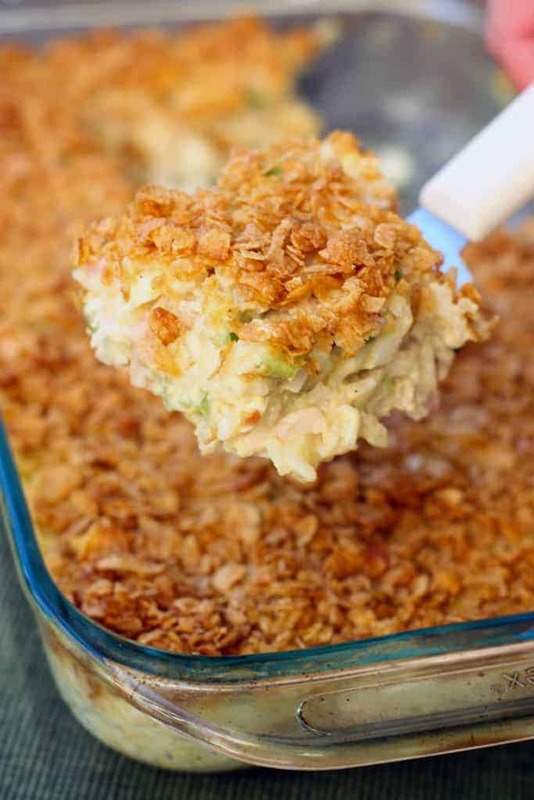 Your family will love this easy Chicken Casserole recipe. It’s the epitome of comfort food, and perfect for a cold night or easy weeknight meal. 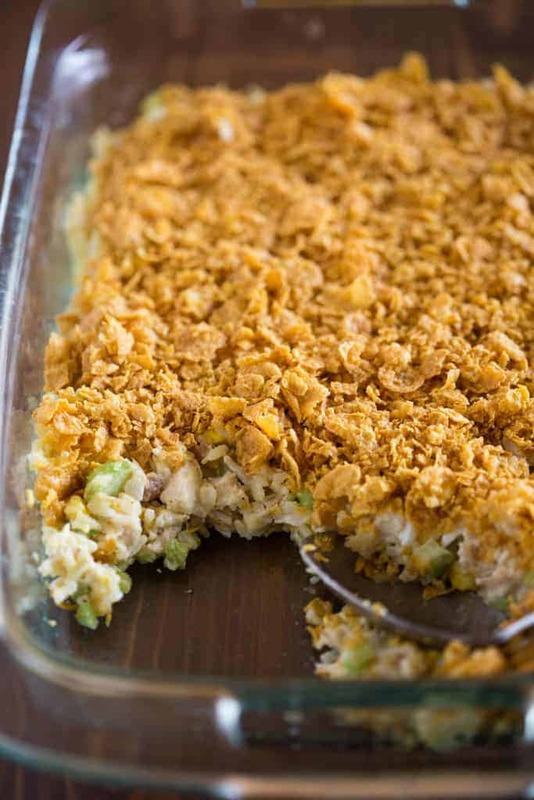 Made with minute rice, chicken, celery, a creamy sauce to hold it together, and buttered cornflakes crushed on top. Mix all ingredients together in a large bowl except for the cornflakes and butter. Pour mixture into a greased casserole dish. Mix crushed cornflakes and melted butter together. Sprinkle over casserole mixture. *I often substitute 2 cups of cooked rice, instead of the minute rice. I love to serve this with a salad or roasted vegetables! Make ahead tips are listed above in the post. 0 Response to " CHICKEN CASSEROLE"